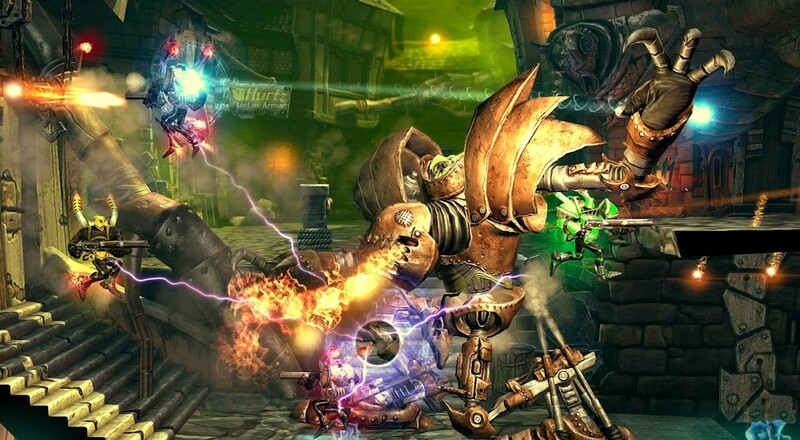 Rogue Stormers, the cooperative run n' gun platformer with rogue-like and light RPG elements that was formerly called "DieselStormers," finally has a release date. On March 24, you'll be able to team up with friends to battle your way through procedurally generated levels and huge bosses, collecting powerups and upgrades along the way. Aside from the name change, the game itself has gone through some changes during its development. Originally slated to be more RPG focused, the devs responded to feedback they received from fans about that gameplay and shifted it to the shorter, more rogue-like title it is today. We spoke with Black Forest Games about this back in June of last year. Rogue Stormers is still available via Steam Early Access for $19.99 (the final sale price), for those interested in checking it out ahead of release, and offers a two-pack for $29.99 and a four-pack for $49.99 if you're the generous sort of person who buys the game for your friends so they'll play it with you. Page created in 0.2555 seconds.